Treadmill. Ever since 12 months ago when I started running and running—my mileage up to 65 kms. per week now—the best purchase I’ve made is a treadmill. Our family started with a P25,000 machine. It was good. For six months. Then the rubber padding contracted a disease: It wouldn’t turn well. And so a few months ago, considering four in our family use the machine, we bought a P70,000 Kettler unit from JB Sports in SM. Today, if there’s rain outside or I want to sprint at 12 noon—which I would never do on the asphalt road—I jump on the treadmill. Simply put, it’s the best exercise equipment we’ve purchased. Don’t like the treadmill? It’s too costly? Causes pain on your knees? Consider the stationary bike. 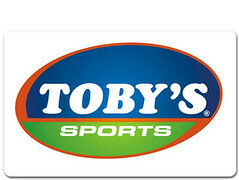 There are several at Toby’s or Metro Ayala that sell for less than P4,950. Biking, as you know, offers one of the best cardio workouts of any sport. And if you’re a runner, it’s a perfect cross-training companion. The elliptical machine is another. In fact, pitted against the treadmill and bike, this is tops. 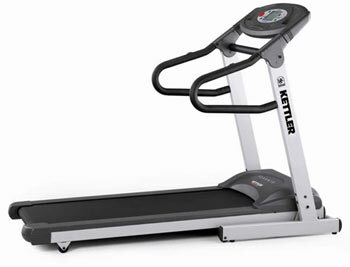 It offers zero impact on the legs (unlike the treadmill) and it even sharpens your upper body (unlike the bike). You want to build muscle? One of the best exercises is offered to all for free: the push-up. But, because some complain of pain on their wrists, here’s a solution… push-up bars. They sell for P250. Dumbbells are another. I have a few in the house and, whenever I rest with my cardio workout, I lift some weights and sweat for 45 minutes. Or if you’re regularly into working out, buy a home gym. At Chris Sports, one whole set costs less than P14,500—and will drill every part of your muscular system. Gym membership. This, of course, is another brilliant gift idea. Most of us get motivated when we sweat alongside dozens of others. Fitness gyms are practical (no need to buy expensive equipment), convenient (consider Fitness First, right inside Ayala) and reasonably-priced (some at less than P999/month). And so, buy a “Gym Membership” gift. 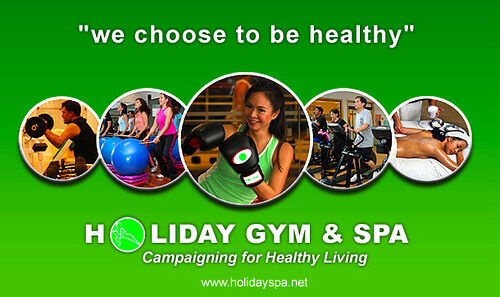 Check out Holiday Gym & Spa and Citigym at Waterfront. Plus, if you can afford it, buy the full 12-month package. Believe me: each time your friend exercises, she’ll remember you for it. Books? Sure. Though it’s hard to shed off calories and lose weight while reading, you can buy books to motivate the reader to exercise. Buying one of Lance Armstrong’s biographies might, for example, encourage your husband to aim joining the Tour de France! Here’s another excellent suggestion: Buy a gift certificate. To me, this makes a lot of sense. Instead of trying to picture if he’s an XL or XXL size, instead of figuring out if he likes red or blue or sleeveless or with collar—why not let him choose. Shoes. Ah, here’s another favorite. I’ll tell you a story that took place 13 months ago. I was strolling inside the Ayala mall and happened to step inside Athlete’s Foot. Right inside the doorstep were boxes and boxes of shoes. I examined a few, scrutinized the colors and designs and, when my eyes saw the price tag, they enlarged: 50 percent discount! A stickler for bargains, I was intrigued. 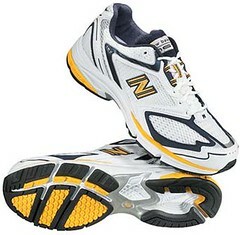 Within 10 minutes—without any plan to purchase—I carried home a pair of New Balance running shoes that cost P2,300. I used it the next day, then the day after, the week after… the month after… and this February 17, I’m joining the Standard Chartered Hong Kong Marathon. I know, I know… many of these options are expensive. And that’s the point! Gift yourself—or your loved ones—the most expensive exercise present that you can afford. Why? Because the more expensive, the more it will be used. And the more it will be used… well, you know the result… the better you will look! Hi, Bro! I have regularly followed your column and have greatly enjoyed the reads. What you wrote today is very true, I have experienced it myself. In December of 2006, I gifted myself with a gym membership at fitness first. This was one of the best decisions I have made regarding my health. Since then, I have exercised regularly. True to what you say, kanugon sang monthly dues kon indi gamiton. I also had the good fortune of being started by a very competent ( and pretty too, hahaha!) trainer who encouraged me to meet my goals. As a result and to make my story short, I have reduced my weight, my belt and shirt size, my blood pressure has returned to levels I had when I was 30 years old. I certainly not only look better, I feel great, sleeping well and making better choices in the food and drinks that I take. I am taking time to comment in the hope that this Christmas season, someone will read this and make the same decision. my warmest regards and may God bless us all! Hi John, just wanted to greet you a very Merry Christmas to you and your family. Are you running the 26.2 mile marathon in HK? Goodluck and most especially enjoy your run. Inspired na sad ko after reading the article. Been sick (cough and cold) but felt better today. I jogged for the first time in two weeks and, am telling you, the first half mile was excruciating; I felt like my lungs were busting out; yet, I kept on and did 3 miles. With the holiday season here, I have to be religious about my exercise because it is during this time when I can easily gain extra pounds from all the food/sweets galore – fudge, cookies, cakes, etc. It’s the last thing I want to be – pudgy lookin’, when I get there next month. HECTOR… Bro! Thanks for the message. You are absolutely right. One of the best gifts is the gift of exercise. Here’s hoping this will be a new year’s resolution of all… to get fitter! Thanks again and Merry Christmas! CERRONE: Hi! Yes, I’m running the 42-K marathon… the same distance you ran during the New York Marathon. Less than two months to go so it’s getting exciting… thanks! BEBOT: You can’t be more correct… these days of too much eating… we have to be more vigilant and regular with our exercise. See you here in less than a month during the Sinulog!